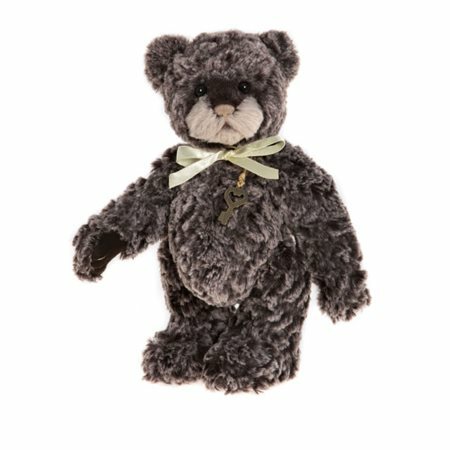 Although a small bear this little one has a huge personality just like his name sake, he is warm-hearted and gentle. He is fully jointed with flat paw pads which enable him to stand on his own tiny paws. He has been created using a super soft tipped textured plush in tonal shades of greys, browns and creams. He has a hand trimmed face with tiny nose and mouth embroidery and small black eyes. His fixed accessories are simple and small with a discreet necklace and key pendant and a small hand tied ribbon bow.